Discover why off road enthusiasts voted Chokecherry Canyon New Mexico's #1 Off Road Trail in the 2015 PartCatalog.com survey. Chokecherry Canyon refers to a vast section of trails within the Glade Run Recreation Area. Host to the W.E. 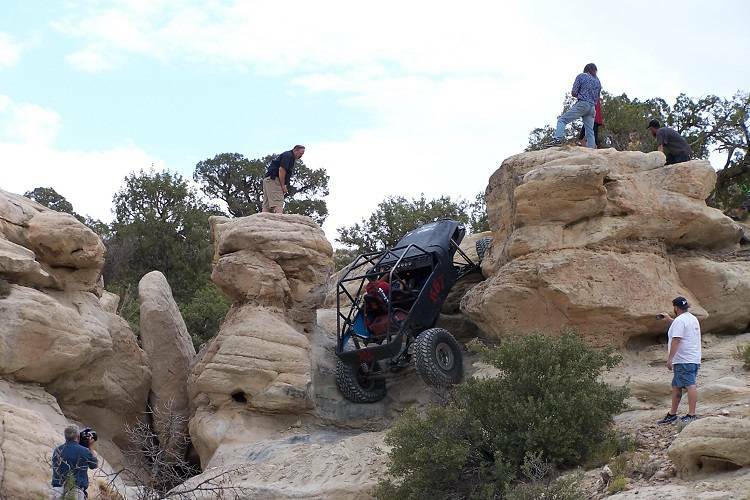 Rock Grand Nationals, (2016, 2017, 2018) this area offers rock crawling terrain with boulders, slickrock and mountain foothills, rock piles and mountain trails. Miles of trails for off roading of all skill levels, from sandy washes to technical climbs can be found here. Main access to Chokecherry Canyon is off Pinon Hills Blvd. and Glade Road in Farmington. The Glade Run Recreation Area is split into two off-highway vehicle use zones. The northern three-quarters of the Glade are for limited trail use and 3,800 acres on the south end are managed as an open OHV area. The Glade offers motorcycle, mountain bike, ATV/UTV, Jeeps and equestrian trails. Open year round, dry overnight camping is permitted. UTV, Jeep and mountain bike trails are currently being marked and maps are in development. As these trails have been shaped and loved by local off roaders for more than 45 years, finding someone to share insider tips is not hard. We recommend reaching out to the Farmington B.L.M. Field Office or Four Corners Explorers, a locally owned UTV rental company.